If you've ever animated a shot with props in it, chances are you’ve had some difficult encounters with constraints. Just creating a parent constraint often doesn’t meet the needs of a shot, and it can be confusing to try to figure out how to animate the prop correctly. Parenting is another way of creating a relationship between two objects, and can be quite effective if done properly. So, should you use parenting? Constraints? One of the best ways to deal with props is actually to use both. Parenting: Parenting refers to putting an object (the “child”) directly under the hierarchy of another object (the “parent”). The child follows the parent, but can also be moved independently of the parent. This hierarchy cannot be toggled on and off. Parent Constraint : A relationship between a parent object and child object. The parent object dictates the movement of the child object, and the child object cannot be moved independently of the parent. The relationship can be toggled on and off. By parenting a child object to a locator, then parent constraining that locator to the parent object, you can create a degree of separation between the parent object and the child object. This way, you have a parent constraint which you can toggle on and off as needed, and the child object can still be moved and animated independently of the parent object. If you're new to parenting and constraints or just need a refresher, check out this clip from our Body Mechanics class, where instructor Charles Larrieu covers parenting, parent constraints, and using locators to gain more control over the constrained object. AnimSchool's new VFX Creature Animation class uses our new detailed creature rigs. "Grave" is our new lizard character. 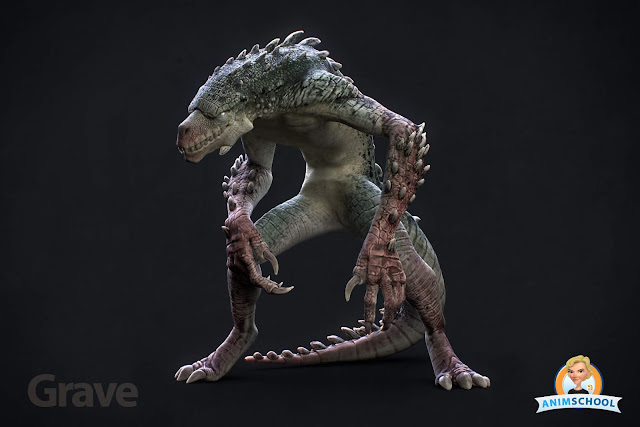 If you could combine a lizard, crocodile, velociraptor, and dragon, you might get something like our new creature rig, Grave. These creatures are eager to wreak havoc and create mayhem in the cityscape provided. Our students use Grave in our new VFX Creature Animation class, integrated with our custom HDRI background plates. 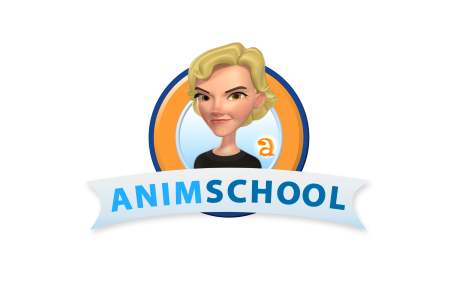 To apply to be a student at AnimSchool go to www.animschool.com. Grave was designed by artist Jong Lee and modeled by Dave Gallagher, and textured by Dave Gallagher and Paul Bellozas. 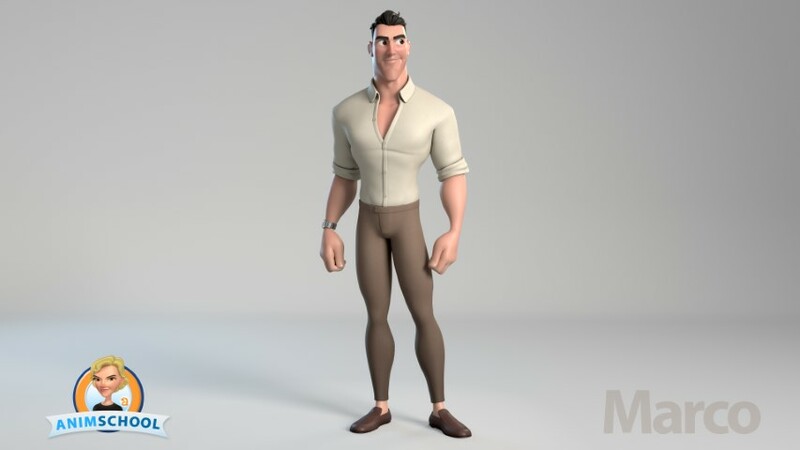 Come join our VFX and other animation classes to learn with AnimSchool rigs! 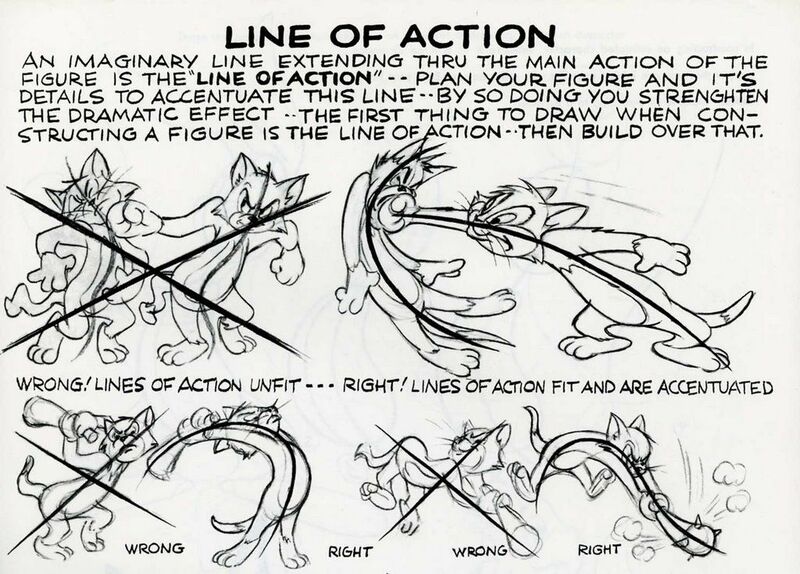 There are so many animation principles to keep track of when creating poses - line of action, silhouette, appeal, and contrast, to name a few. The first pose you create is almost never your best, so here are some techniques that many professional animators use to take their poses to the next level. You can use these along with others as a great way to help train your eye to both see and create better poses. Purpose: What's the drive and intention of the character? What emotions does your character have? What are they trying to express? Where is their focus and their energy? Line of Action: Push your main line of action to reflect the story behind the character at that frame, whether opening them up to one side or the other, or hunching away. Follow the line through the body, and see if you can extend the line of action through the limbs and other extremities. Silhouette: Make sure you have a clear pose even in silhouette. Can you get rid of or make use of negative space? Appeal: Is your character’s personality showing in the pose? Is the pose engaging and interesting to look at? Contrast: Make use of different shapes and angles to add interest to your poses. Think of what your character is doing before and after that pose - can you exaggerate certain parts of the body to accent a motion, or play with squash and stretch to contrast a previous or upcoming movement? Iteration: Keep pushing your poses until you end up with something a little more appealing. Don’t worry if you don’t see much change or improvement right away, or if you’re concerned about pushing things too far. It’s an iterative process, and as instructor Thom Roberts mentions in the demo clip below, you can’t judge your progress or determine whether you’ve gone too far until you can compare with what you had before. Make sure to occasionally flip between your old pose and new poses to compare and make decisions about what parts look better. In the clip below, you’ll be able to see Thom’s process for iterating on a pose. Watch as he takes into consideration the purpose of the shot to shape the character, little by little, into a pose with more appeal.